Sandra Veinberg, Ph.D., Professor of Communication Sciences at Liepāja Universitāte, Senior Researcher at the Institute of Management Sciences of Liepaja University. Previous working places: associate professor, lecturer and researcher at the University of Latvia as well as at the Universities of Moscow and Stockholm in the fields of mass media, journalism and public relations. Sandra Veinberg is a member of the ECREA (European Communication Research and Education Association), Foreign Press Association of Sweden, FPA. 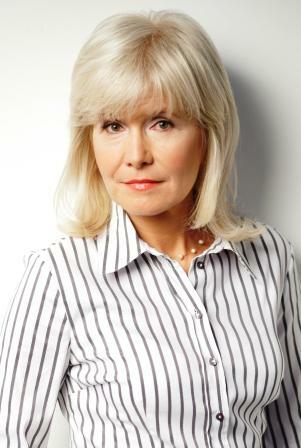 She is also known as writer, journalist and a foreign correspondent in Sweden of Latvian TV. As a researcher and journalist, she is very familiar with most of the practical and theoretical sides of media and journalism and PR. Mediju misija (The Mission of the Media). Trends of the Press Development in Latvia following Reestablishment of the Independent Statehood (1990-2010), monograph in Latvian, Publishing House Zvaigzne, Rīga, 2010, 158 pgs. Censorship – The Mission of the Media. Compilation of scientific essays in English, Publishing House LiePa Publishing Latvia,Liepāja, 2010, 151 pgs. Publiskās attiecības jeb PR. Teorija un prakse (Public Relations or PR. Theory and Practice). Monograph. Publishing House Zvaigzne,Rīga, second revised edition, 2008, 325 pgs. Masmediji (Mass Media). Press, Radio and Television. Monograph, Publishing House Zvaigzne,Rīga, second revised edition, 2008, 358 pgs. Televīzijas ērkšķainais ceļš (The Thorny Path of Television), article in compilation “Cilvēki TV viļņos, Latvijas Televīzijai 50 gadu“ (People in the Waves of TV, the Latvian Television Celebrates its 50th Anniversary), Valters un Rapa,Rīga, 2004, pages 445-449. Sergejs Kruks, Radiožurnālistika (Radio Journalism),Rīga, 2004, Valters unRapa. Foreword. More about academic reserearch of Sandra Veinberg here. Writer (novel Ielocītās lapas etc) and translator of fiction litterature from Swedish. Sandra Veinberg, Ph.D., docent i journalistik – konsulent, specialist i utvecklande och förverkligande av strategier och taktik för information om media och samhälle. Hon har arbetat som docent vid Lettlands universitet, universiteten i Moskva och Stockholm, forskar i journalistik och public relations. Sandra Veinberg är medlem i Sveriges Publicistklubb. Hon varit stadigvarande korrespondent i Sverige för Lettlands Television. “Masmediji“ (Massmedia), “Mediju misija. Preses attīstības tendences Latvijā pēc valsts neatkarības atjaunošanas (1990-2010). Hon har verkat som översättare av svenskt drama och skönlitteratur och är även författare till roman Daniels fem fel och Ielocītās lapas.